Going to a court hearing can be stressful, especially if it’s your first time in the courtroom. Many people have never had to go to court for a hearing and do not know what to expect. 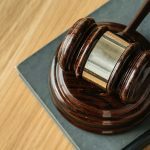 To help relieve some of the stress, we have nine important things to know before going to court. Be sure you know where the courthouse is, where to park, and what courtroom you will be in. It’s a good idea to take a trip to the courthouse beforehand to make sure you know where you need to be on your important day. When appearing in court, dress as if you are going to church or on a job interview. Each judge is different so it is hard to say how the judge presiding over your case will react to things like tattoos, piercings, or particular wardrobe choices. It’s always wise to play it safe and dress professionally and conservatively. Keeping the judge or your attorney waiting is never a good idea. Always be there when your attorney tells you to, and if you’re early, that’s even better. Plan to leave around 30 minutes earlier than you typically would to ensure traffic, parking, security, or other impediments don’t make you late. The court schedules are often unpredictable, so you need to be sure your tardiness does not throw off the court schedule and displease the judge. If your attorney has asked you to bring evidence such as photos or documents to court with you, be sure that you bring these items with you on your court date. It’s in your best interest to bring the evidence that will help your case. If you do not have this evidence with you, the judge will not care that it exists since you have no proof. Your attorney may be representing you, but you are still an active participant in the case. It’s a good idea to take notes during your trial to record anything you agree with, disagree with, or want to discuss with your lawyer later. You do not want your phone going off during your court appearance and you don’t want to chance it by leaving it on vibrate. Turn it off while you’re in court to avoid any distractions or interruptions. 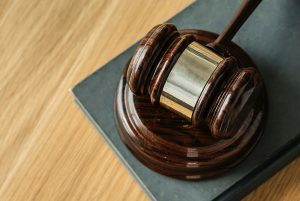 If you have legal representation in court, you may not speak directly to your opponent’s attorney and your opponent’s attorney may not speak to you without your lawyer present (or your lawyer’s permission). In addition to not interacting with your opponent’s counsel, you should not speak to your opponent or their witnesses during your court appearance. All eyes will be on you so it’s important to keep a respectful demeanor. Avoid letting your feelings show on your face. Eye rolling and looks of disapproval will get you nowhere with the judge. Keep a neutral, attentive expression. No matter how your hearing went, always say thank you to the judge at the end of your hearing. You are thanking the judge for his/her time and consideration, even if the ruling wasn’t in your favor. 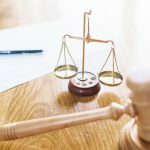 Keeping these tips in mind will make your trip to the courthouse a little less stressful and allow you to put your best foot forward during your day in court. If you have any questions regarding testifying in court concerning your Raleigh family law case, schedule an initial consultation for with one of our attorneys by calling (919) 296-4017 or by filling out the contact form below.